Artist Patrick Dougherty on site at McBryde Gardens, Kaua'i, part of the National Tropical Botanical Garden system in Hawai'i. Conversation with Patrick Dougherty about his new sculpture at the NTBG McBryde Garden on Kaua'i. 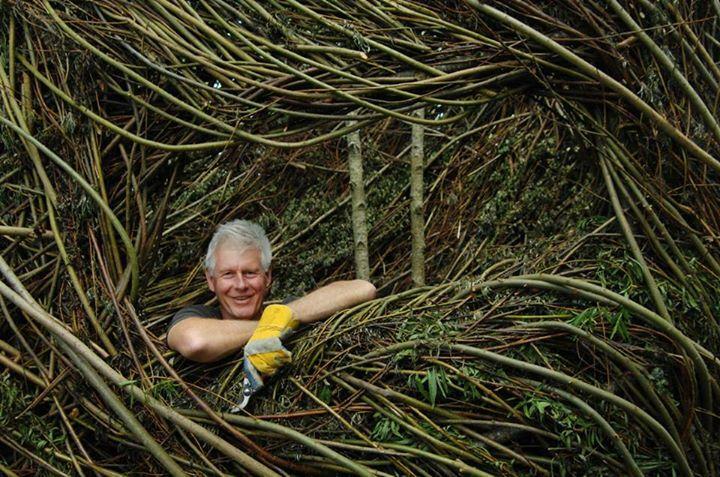 International artist Patrick Dougherty creates massive environmental sculptures with sticks. As part of their fiftieth anniversary celebration, the National Tropical Botanical Garden on Kaua‘i commissioned a giant new installation for the McBryde Garden in Lāwa‘i . HPR’s Noe Tanigawa reports.